← Stolen identity? Not this time. 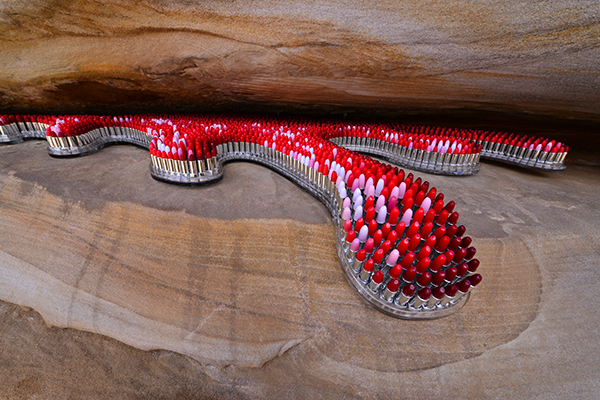 It’s on again – Sculpture by the Sea Bondi opened Thursday 23 October and runs until Sunday 2 November. 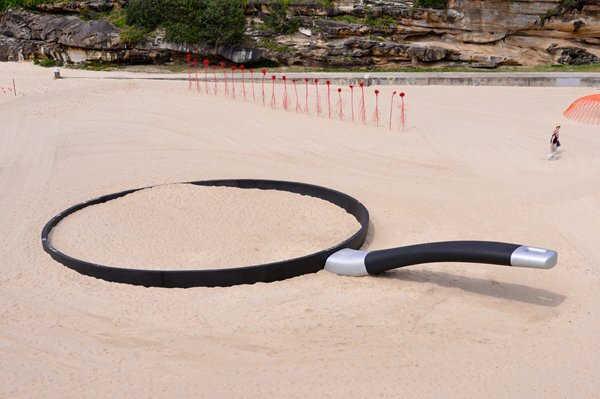 I love Sculpture by the Sea – intriguing, whimsical, inspiring and challenging exhibits set against the stunning backdrop of Sydney Harbour, along the Bondi to Tamarama coastal walk. I especially admire the way the exhibits fit into, and sometimes interact with, the landscape. The rocky foreshore, a chiseled artwork in its own right, offers a dramatic platform for substantial sculptures and crafty installations – and it means you can usually get a good photograph with the sea in the background without hoards of people in your shot. Sandy beaches and grassy parks are perfect places for playful, interactive pieces too. The exhibition has certainly come a long way since it was established in 1997 by a group of volunteers with no funding. This year there are 109 exhibits from 16 countries. What a difficult job it must have been selecting the exhibitors from the 400 submissions received. It’s encouraging to hear there are 40 artists exhibiting for the first time this year. Also new this year are two cafes and ‘deckchair and beach umbrella chill zones’, along with disabled toilets. Unfortunately, I can’t visit until the last week (as I’m off to Fiji for the Australian Society of Travel Writers‘ annual convention) but I can’t wait. I have a friend who’s a keen photographer coming from New Zealand who wants to shoot the sculptures at sunrise. We have booked a two bedroom apartment at the Adina Apartment Hotel in Bondi so we are close to the action. I’ll post again with our photographic results. 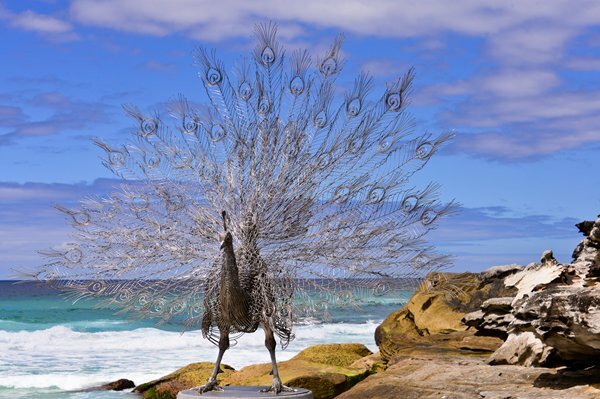 In the meantime, check out the stunning shots on the Sculpture by the Sea website and on their social media pages Facebook Twitter and Instagram. This entry was posted in Attractions, Australia, New South Wales, Sydney, Travel, Travel News & Events and tagged Bondi, coastal walk, family fun, interactive art, Local events, Sculpture by the sea. Bookmark the permalink.